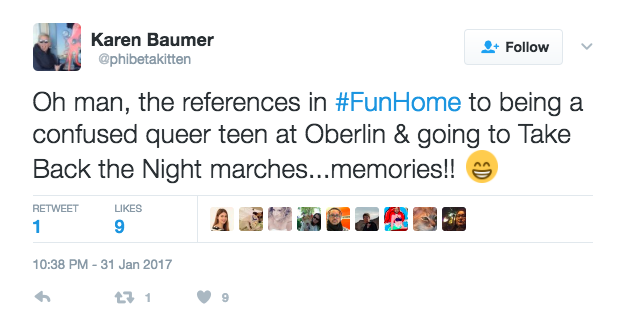 Ever since Fun Home won the Tony Award for Best Musical in 2015, it has generated a passionate fan base throughout the world. Check out our favorite reactions to the musical below! Then, make sure to catch Fun Home when it’s in town this month at Center Theatre Group’s Ahmanson Theatre. Enter the lottery for your chance to win day-of tickets for just $19.67 to celebrate Center Theatre Group’s 50th Anniversary Season. 1. 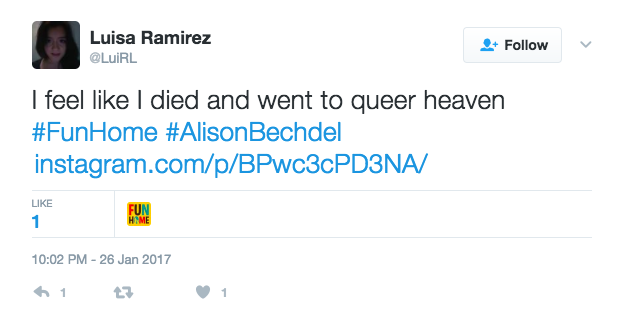 This Twitter user who really related to the show. 2. 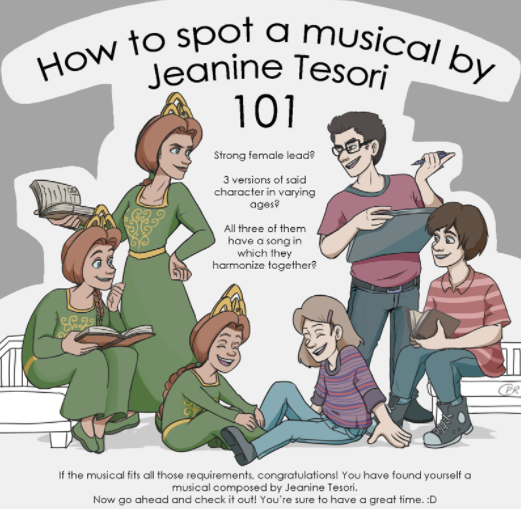 This explanation of Jeanine Tesori’s signature style. 3. This picture of Kate McKinnon. 4. 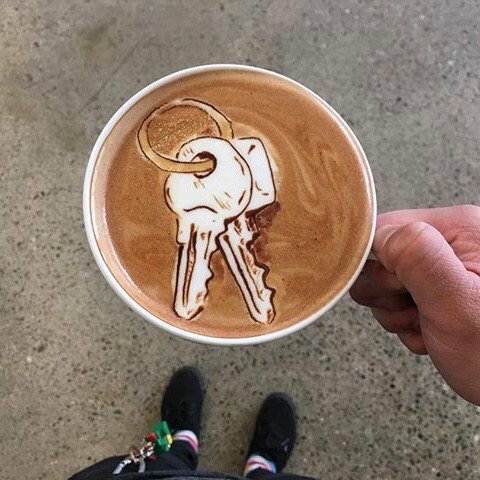 This “Ring of Keys” latte art. Can you spot the real ring of keys? 5. 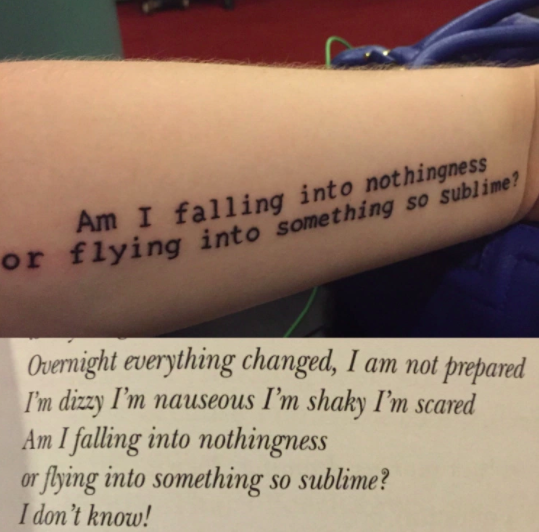 This tattoo of a beautiful lyric. 6. 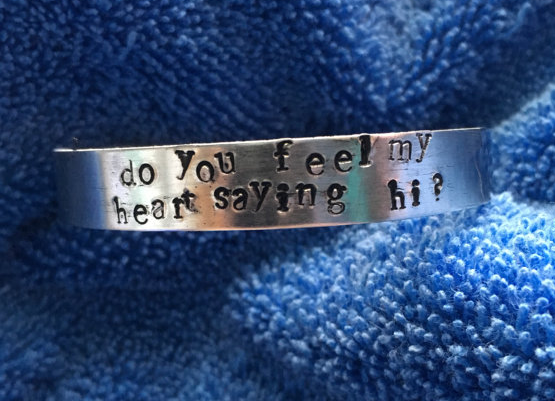 This handmade bracelet of another beautiful lyric. 7. 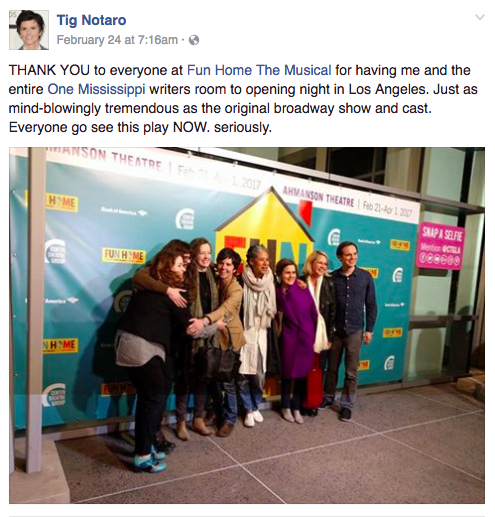 Tig Notaro’s enthusiastic Facebook post. 9. 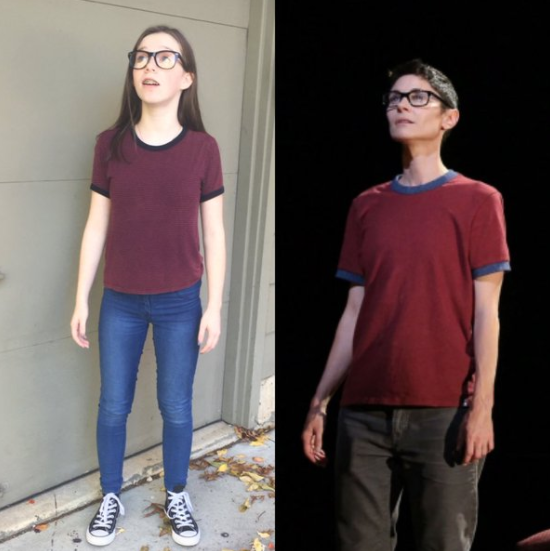 This perfect Halloween costume. 10. And this cool animation. 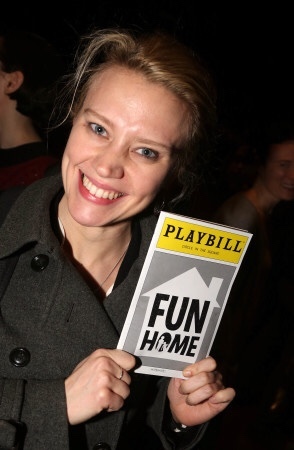 Send us your reactions to Fun Home on Facebook and Twitter when you see the show!